I’m starting to get the distinct feeling that I’ll never be able to keep up with all the new collaborations of beer making going on in this city. 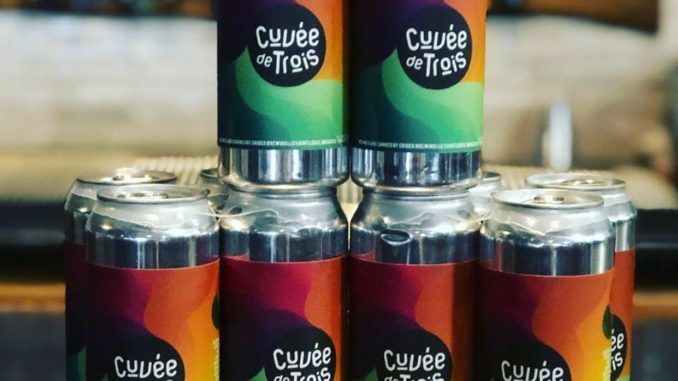 Today, three of my favs, 2nd Shift Brewing, Main & Mill Brewing, and Narrow Gauge Brewing announced the release of a new tri-collaboration beer, Cuvée de Trois, an Imperial Stout made with Blue Print Coffee and cacao nibs. According to 2nd Shift, this beer is rich, roasty and velvety and the first in a progressional series of collaborations between all three breweries. 4 packs of this beer come in 16 oz cans and will sell for $20.00, with a 4-4 pack limit. Right now, we only know of the beer being sold at the 2nd Shift tap-room.